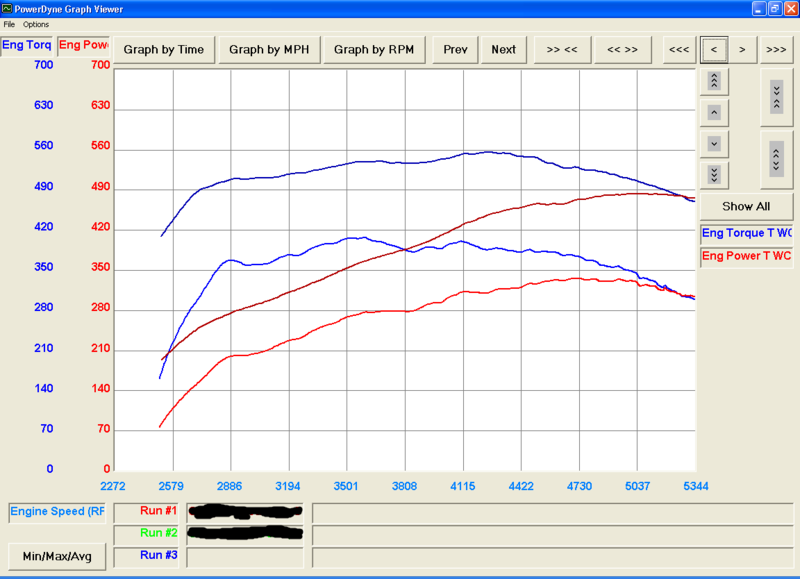 Honestly a tuned 3.5eb is no slouch...they can run 12's in street trim with just a tune. I'm sure you'll be more than satisfied. The 3.5eb makes killer torque, and will feel more like a big block then the 5.0. The Coyote is an amazing motor, but like any 4 cam V8 it lives up top and really only comes alive when you drag it into over 7000rpm. Dunno about your truck but mine definitely doesn’t live up top. It’s alive from idle until I run out of *****. 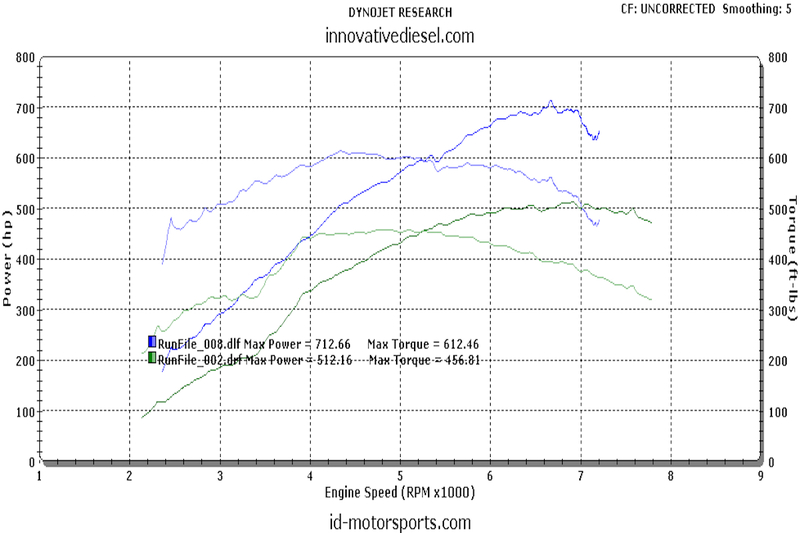 Agree and for support, here is a dyno graph I found of a Whipple'd F-150. 500lb-ft at 3000 rpm and look how far it carries horsepower. It's an absolute powerhouse at ALL times. The Ecoboost doesn't nosedive up top like the older ones. It will make power to 6000-6200 rpms. it just isn't made to rev high like the coyote though. Damn! nice graph. The graph cannot be contested! I’m with UNBROKEN with the 5.0 I spin my 35” tires from a stand still up to 40 mph in NA form. 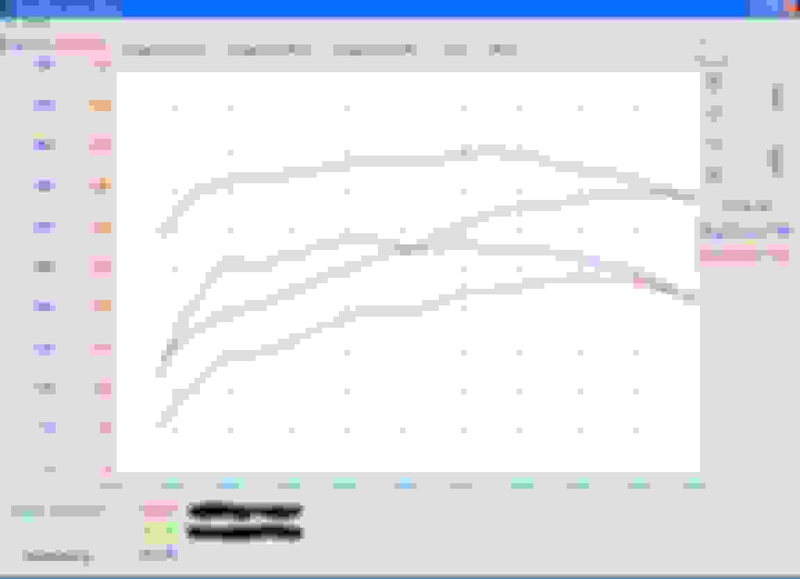 The 3.5 torque curve can fool a lot of people into thinking it’s fast. Ask me how I know? My 1.0 ecoboost fiesta feels fast to anyone who drives with me, but my truck would spank it. Is this true now for gen 2 (2017+) and forward? If it can hold power to 6k, that's good. Correct. The 18 holds power a little better than the 17 since it has better turbos too. Disregard the rpms, the pickup wasn't working so it's wrong. It's off by 700 rpms. The biggest problem with the ecoboost is that tuning takes the engine to its limits. Also hellion is now selling a twin turbo kit for the coyote f150s if turbos are your thing. I had a 2016 ecoboost 3.5 with bigger turbos and all the add ons. Now that I have my whippled 5.0 I would never consider another ecoboost for anything but a quick daily and for towing. Last edited by TX-Ripper; 01-30-2019 at 07:00 PM. I agree though, the limits of the engine are low (not sure why they underengineered it so hard) thanks to fords trash piston design and nothing else. Rods are monstrous, crank is a monster. Oiling system is good. Pistons are weak sauce. Raptor pistons are massively better. Last edited by w00t692; 01-30-2019 at 07:22 PM.